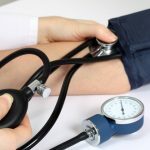 What Causes High Blood Pressure? High blood pressure may be caused by a number of factors that include environmental exposures, genetics, lifestyle factors, activity levels, medications both prescribed and non prescribed and a number of medical conditions. 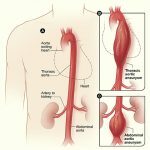 Most experts agree that there is likely a significant underlying genetic element to essential hypertension, the most common form of high blood pressure, however the truth is that when it comes to most people with hypertension, we haven’t quite worked out the genetic basis of what causes high blood pressure which is undoubtedly complex. This remains the intense focus of ongoing investigation. There are however well described genetic variants that are responsible for small subsets of hypertensive patients. In these rare subsets such as Liddle’s syndrome and others, mutations in single genes explains what causes high blood pressure. The relationship between ones bodyweight and blood pressure has been well established. Obese people for example, are much more likely to have high blood pressure. This has been demonstrated in multiple studies. In fact in these studies, the more overweight one is, the higher their blood pressure is likely to be. In fact if obese patients lose weight and return to a normal weight, they have a significantly reduced risk of becoming hypertensive. Interestingly not only high sodium levels, but also low potassium levels have been implicated in high blood pressure. In some debates, the role of sodium in causing high blood pressure has been controversial, however the medical community as a whole endorses care when it comes to sodium intake. Study after study has demonstrated the relationship between higher levels of sodium intake and high blood pressure, cardiovascular disease and stroke. This is even more the case in those considered to be salt sensitive such as the elderly and black patients or those with diabetes and kidney disease. It is the opposite case for potassium. Low potassium is related to higher blood pressure and also worse outcomes. In fact a higher potassium level may blunt the effect of sodium on blood pressure. The relationship between physical activity and blood pressure is well established. The more active a person is the less likely they are to have high blood pressure. This is not just the case for athletes since even relatively modest levels of activity are associated with lower levels of blood pressure. Higher levels of physical fitness may prevent high blood pressure, improve blood pressure control and lead to improved cardiovascular outcomes in general. Alcohol consumption has been associated with higher levels of blood pressure and in the US may account for up to 10% of cases of high blood pressure. Painkillers are common offending agents in worsening blood pressure control, the most common being the over the counter NSAIDS, aspirin and Tylenol. In fact these medications have been implicated in preventing response to some of the most commonly used blood pressure medications. With NSAIDS in particular the effect is felt to be kidney mediated and related to fluid retention. Another important over the counter medication to consider is a decongestant pill. The mechanism of this is likely stimulatory effects, such as that seen with diet pills. Also worth mentioning are some herbal supplements containing ephedra, steroids and licorice. In patients with high blood pressure its critical to review their existing medication list to ensure there are no offending agents. Obstructive sleep apnea, particularly when untreated is strongly associated with high blood pressure. The severity of the sleep apnea is directly related to the severity of blood pressure elevation. For this reason, in patients with sleep apnea, particularly those with high blood pressure, evaluation and treatment of the sleep apnea is critical. 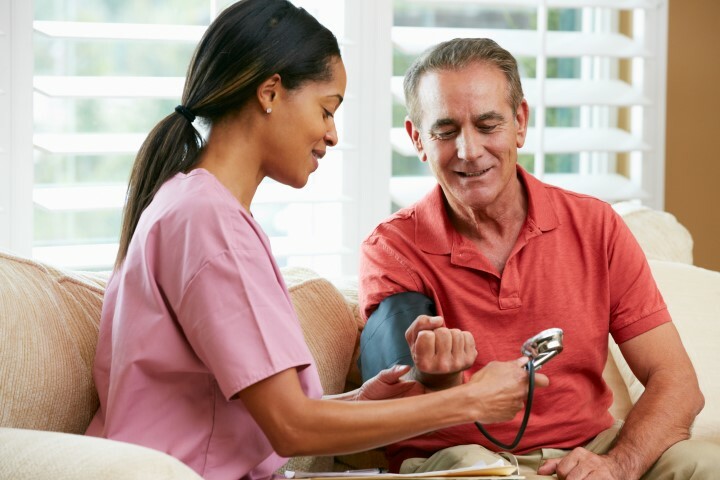 Although more rare, it is important to consider certain medical conditions in patients with high blood pressure, particularly if there is a clinical concern or if there is resistance to the treatment of blood pressure. These include the conditions hyperaldosteronism, pheochromocytoma and Cushing’s disease. High blood pressure, kidney disease and diabetes all go hand in hand. Both diabetes and kidney disease are strongly associated with high blood pressure. Diabetes is strongly associated with development of kidney disease, as is high blood pressure. It is critical for any patient with these conditions, that each condition is treated aggressively as they are a critical part of what causes high blood pressure. What are the initial thoughts on a blood pressure of 297/92 mmHg during a stress test? Should there be precaution when exercising at this bp? It is unacceptably high and would require treatment initiation. 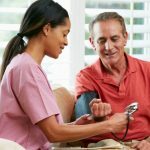 well explained good information.Heart disease is one of the leading causes of death worldwide, and people who have abnormally high pressure in their arteries are far more likely than others to die prematurely of heart disease.Proper treatment of high blood pressure can add years to a person’s life. Controlling blood pressure with medications can decrease the risk of stroke and heart disease.consult a doctor if you observe headaches, vision problems, dizziness, or shortness of breath, but most people with hypertension have no symptoms. I am having strange BP spikes for over 6-8 months. The pressure suddenly goes up(I found this 4 months ago as I started to monitor the pressure) when I am moving, walking in hallways,in upright position or doing something. Some days it is below normal or normal when I am resting or n bed until I get up and walk around for few min. I feel sudden surge of pressure, light headed, out of breath and weak, many times I feel sick in stomach. These spells last for 30min or an hour or two …later pressure goes down as I rest but I feel wiped out by this episode for rest of the day and next day. I did notice that these symptoms are worse when diastolic pressure is on rise. even 117/87 or 132/89 is debilitating. Other times even 140/75 doesn’t make me sick as diastolic rising above 80. Made several trips to ER and doctors so far. taking Proprnolol 20mg three times a day, if I take more mt BP goes down really low. Watching salt. I am currently not active as I used to be, still going thru TIA effects from a year ago. One reason you explained is due to hormones. Is there a blood testfor woman that I can get it checked? I am desperate to find the cause for these spikes. A friend mentioned test for serum free fractioned metanephrines. The heart rate and blood pressure are within likely acceptable ranges, activity is important and will improve long term outcome. Regular follow up is key.